Oracle When you cast this spell, you gain half X life and draw half X cards. Round down each time. 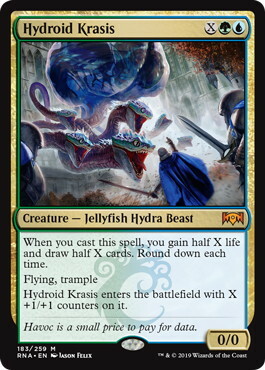 Flying, trample Hydroid Krasis enters the battlefield with X +1/+1 counters on it. Flavor Text Havoc is a small price to pay for data.